We are so thrilled to release these 11 winning stories from our “A Day in the Life of an Immigrant Entrepreneur” contest! These stories, written by the entrepreneurs themselves, or their families and friends, tell of their journeys and lives. 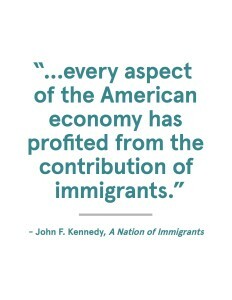 The stories and the inspiring people they are about show that immigrants are valuable contributors to our communities, neighborhoods, economies, and cities. These are stories about hardworking individuals achieving the American Dream. 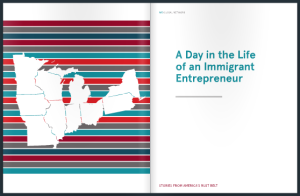 In the fall of 2014, the WE Global Network partnered with New America Media for the story contest, “A Day in the Life of an Immigrant Entrepreneur,” to celebrate immigrant entrepreneurs and their contributions to our communities and economies. 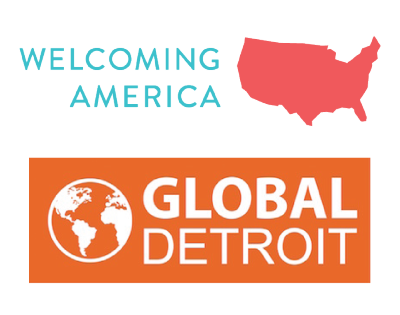 We asked for stories about immigrant entrepreneurs in an effort to spotlight the important role they play in our local economies, and then chose one winning story from each of the 11 participating metropolitan regions – Buffalo, Chicago, Cleveland, Columbus, Dayton, Detroit, Lansing, Minneapolis-St. Paul, Philadelphia, Pittsburgh, and St. Louis. These 11 stories are published in this book. Congratulations Julio Zegarra-Ballon of St. Louis! Steve Tobocman chooses the $1,000 winner! We chose at random one of the 11 stories to award with the $1,000 grand prize! Julio Zegarra-Ballon, originally from Peru, is the founder and owner of Zee Bee Market in St. Louis’ South Grand Neighborhood. Julio renovated a vacant space where he now sells handcrafted and Fair Trade products from around the world, while giving the artisans behind the products a better life. “Immigrant entrepreneurs are making important contributions in St. Louis, from our nationally renowned start-up community to lifestyle retail businesses. We applaud Julio Zegarra-Ballon and his commitment to making St. Louis a vibrant business community,” says Betsy Cohen, Executive Director of the St. Louis Mosaic Project.